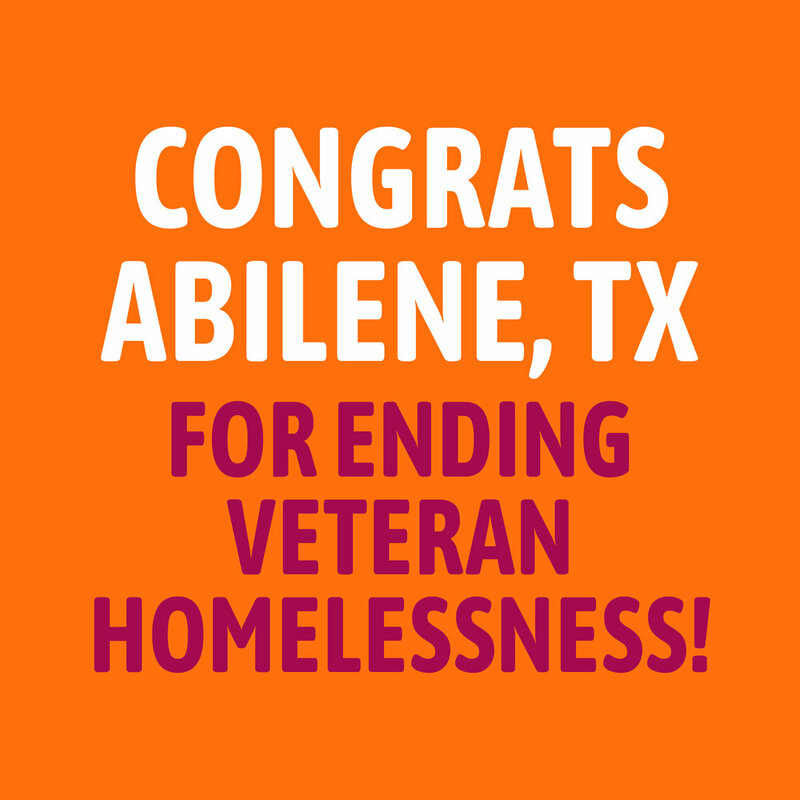 Abilene is now the 9th community in the country to successfully end veteran homelessness! On October 23rd, 2018, the West Texas Homeless Network launched the Mayors Challenge to effectively ending veteran homelessness in Abilene. This 100-Day Challenge comes from the Rapid Results Institute, a nonprofit organization that has provided a rapid-cycle implementation process to solve critical social challenges around the globe. We in Abilene are focusing on developing a collaborative system to meet the needs of veterans experiencing homelessness. Housing our most vulnerable veteran neighbors is a crucial first step to effectively ending all homelessness in the Big Country. Our goal throughout this challenge was to make homelessness among veterans in Abilene something that is rare, brief, and nonrecurring. January 31st, 2019, marked the end of the Mayors Challenge to effectively end veteran homelessness in Abilene. We met with Mayor Williams on February 28th, 2019 to release our final accomplishment. We are excited to announce that we are the 9th community in the country to successfully end veteran homelessness. While there are still Veterans experiencing homelessness in Abilene, the systems that we have put in place will allow for these cases to be rare, brief and nonrecurring. Here are our final numbers. We housed 30 veteran households, 38 were adults, 8 were children, 10 were over 60 years-old, 4 were chronically homeless, 5 were long-term homeless, 10% were African-American, 7% were Hispanic, 13% were female, 63% were first time individuals experiencing homelessness, and 83% were from extremely low income level households.